Last January, Danny Garcia defeated Robert Guerrero to claim the vacant WBC welterweight belt. In June, Keith Thurman defended his WBA version of the 147-title against top contender, Shawn Porter. The result was a unanimous decision for Thurman, by the far the biggest victory of his career. The next step seemed undeniable to all sensible boxing fans. Garcia and Thurman needed to face off in a unification fight. Following Floyd Mayweather’s retirement, Garcia vs. Thurman was an essential step in the road to establishing the next true king at welterweight. When Garcia instead opted for a non-title fight in November against Samuel Vargas, social media lost its collective mind, with Garcia widely derided as a cherry picker. But last week, fans finally got the fight we really want, when Garcia vs. Thurman was finalized for next March 4. I still have a problem with a belt holder opting for a non-title bout in a year when he only fights twice. And this is the second time in the past three years Garcia has made that decision. In the days of Sugar Ray Robinson or Henry Armstrong, when a fighter might fight a half-dozen times or more, taking a non-title bout or two was perfectly excusable. This isn’t that era. Garcia fights twice a year. So long as he is claiming status as a “world champion,” both those fights should have meaning. 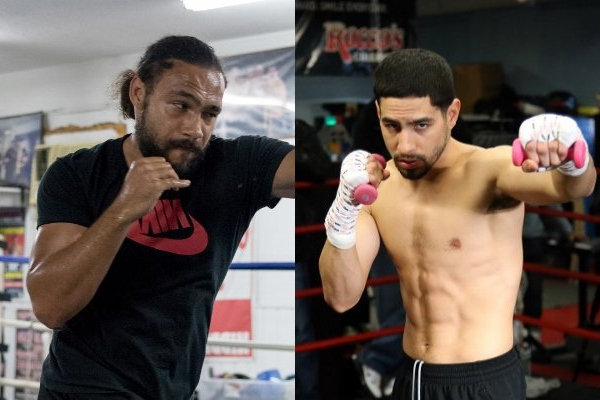 Regardless, Thurman vs. Garcia is arguably the biggest bout that can take place right now at welterweight. IBF champion Kell Brook is out indefinitely, after breaking an orbital bone against Gennady Golovkin. I doubt he will ever fight below 154 pounds again. Like many other observers, I believe Errol Spence Jr. is the best fighter in the world currently campaigning at 147. He should get a chance at the IBF belt in the coming months. Meanwhile, Thurman vs. Garcia is a can’t-miss bout. The winner vs. Spence will be another one.